Serious historical real-time strategies like Total War are great. The games like these offer to taste a real balance of power and historical certainty, awesome, just awesome. But usually they lack one thing – fun. 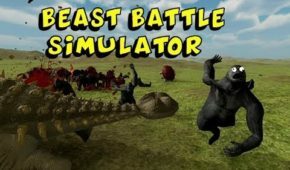 That is when the new generation of strategies come forward – games like Beast Battle Simulator. 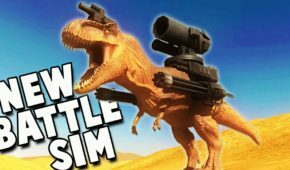 Take a huge pile of chickens and make them fight 30 donkeys with shotguns. Easy-peasy if you play BBS. It is that crazy but you love its insanity with all your heart if you are into stupidly funny games. 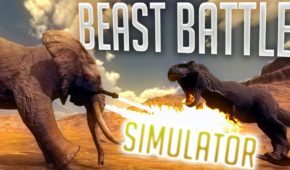 Seeing an army of unicorns against the herd of lions may seem delusional, at first, but you will definitely want to know how this battle ends. It is in a human nature to be curious and BBS is the perfect treat for everyone who has ever been curious what animals are the most powerful ones on this planet. Surely, don’t expect much from the storyline – it is just absent. 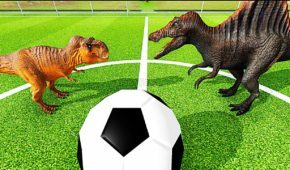 Not even the best storyteller couldn’t explain why dinosaurs wanted to play soccer with giraffes. No-no, this game is not about plot. It is about having fun just like in childhood when your games were not logical, they were simple and made you laugh. 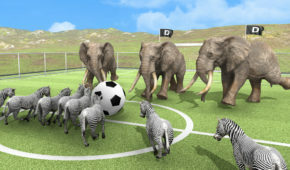 Imagination was the only limit in your child’s games. 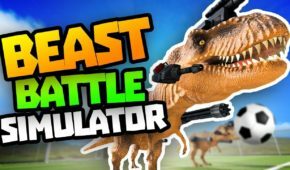 The same happens with Beast Battle Simulator – you simple imagine what will happen if…Penguins try to destroy the flock of pterodactyls with rockets. And you build the armies in the Sandbox mode to find out the result of this non-standard fight. 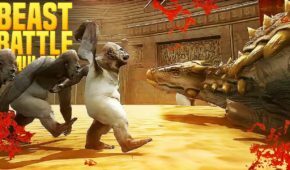 With the help of a multifunctional editor, create an epic battle and enjoy watching it. However, don’t expect much from the strategic elements here. Units just go on the shortest way and win or lose depending on the real physics engine and advantages like personal characteristics or powerful weapons. But the lack of diversity in commands is compensated by the fact that you can upgrade your armies with various weapons and the epic scenes of mutilation that look really cruel. 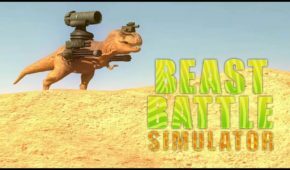 That what makes Beast Battle Simulator a cool sandbox brawler with Challenges and a special Soccer mode. 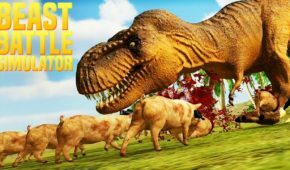 It is unlikely that someone will be engaged for the months into this game, but, surely, you will get a lot of fun while playing it during the first couple days.